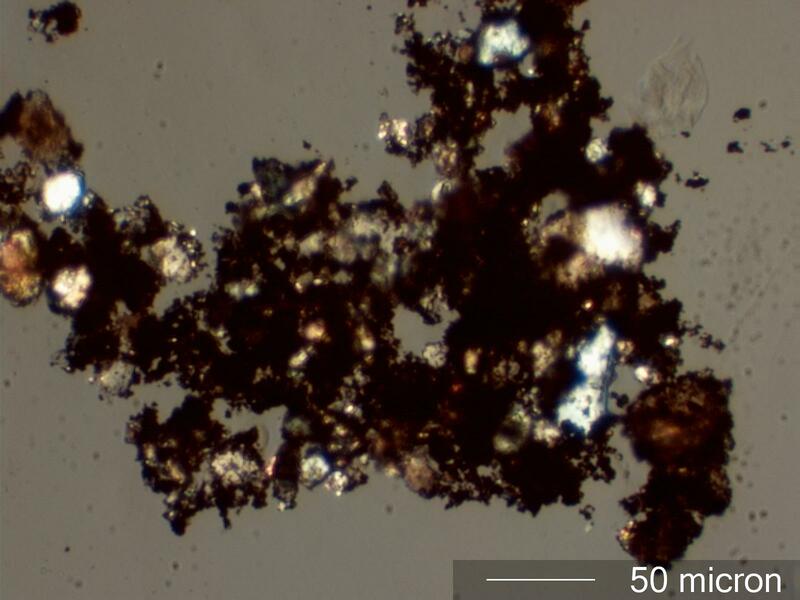 The natural minerals in this agglomerate tend to be large. This indicates a poorly filtered system and a very dusty environment. The large natural minerals must be suspended to enter the air flow and must travel down the duct after entering.